Loved the villa, private pool and view of the beach. It is definitely worth paying a bit extra for a beachfront villa. The room service was good value for money and very efficient. The Balinese chicken pizza was one of the nicest pizzas I have ever had, they also had a buy one get one half price offer on pizzas. We enjoyed the fact breakfast was delivered to the villa every morning so you didn't need to rush to meet the breakfast deadline, lots of variety for breakfast and the orange juice was lovely. All staff were friendly and went out of their way to do anything for you. Thoroughly recommend this villa. It is only 4 star, not 5 star, so I did not expect perfection, so to me it was perfect for the price we paid. Private pool, direct access to the beach, big villa, amazing view from secong floor of the villa where you see the ocean, you feel you are in paradise. This was a nice private villa with your own pool right on the beach. The bedrooms were spacious, clean and comfy beds. The living space and kitchen was very spacious. We had a total of 5 adults and 2 small children and had plenty of space. The private pool was nice! They offered a public pool and a restaurant but we never went. They did offer food service to be delivered to the villa. Overall a nice villa! Very close to Keramas for surfing. Big spacious villa and large private pool. Staff very friendly. The villa itself is a tranquil peaceful oasis. We had tons of space to spread out. Daily breakfast was basic but nice. The hotel is good choice for families and relax. It is out of crowd and traffic jam. Close to visit Upud and other tourism location. The facilities were clean and good condition. I like the swimming pool . I had good time with my family. Hotel staff were friendly and helpful. There are plenty of services around the hotel such as restaurants and groceries shop. You will need a car (rental or car with driver). Location was awesome, property and amenities were top notch. Perfect for families. Will definitely stay here again. We spent 3 wonderful nights here. Everything was awesome especially the staff. We could not fault it. Can’t wait to come back hopefully very soon. Lock in a great price for Bali Diamond Estates & Villas – rated 8.5 by recent guests! 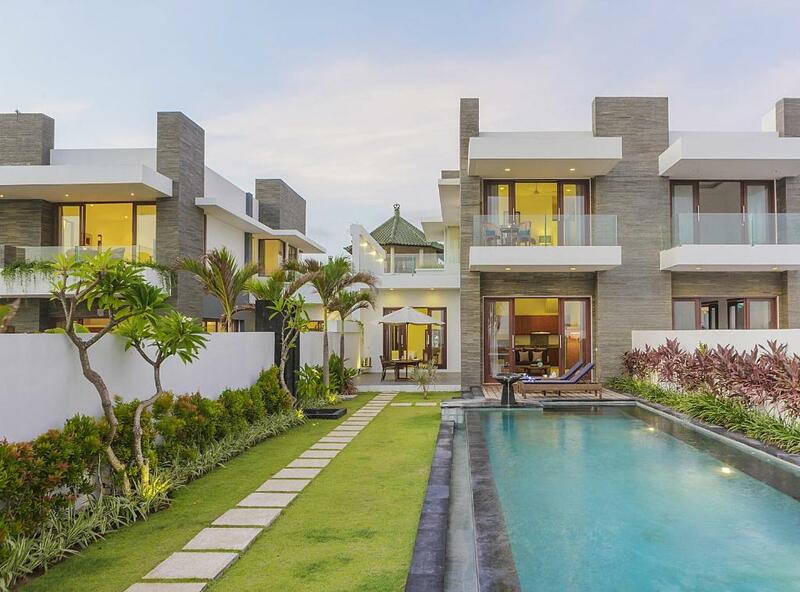 Bali Diamond Estates & Villas This rating is a reflection of how the property compares to the industry standard when it comes to price, facilities and services available. It's based on a self-evaluation by the property. Use this rating to help choose your stay! 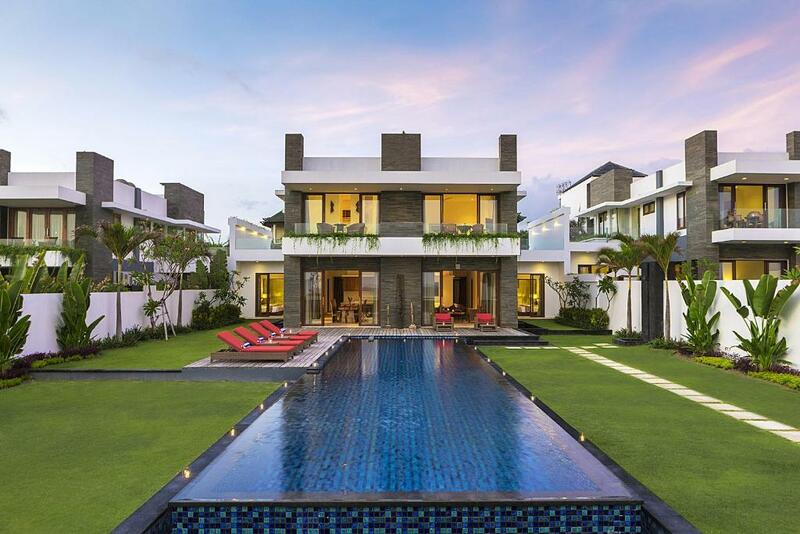 One of our top picks in Keramas.Bali Diamond Estates & Villas is located on a beach in Jalan Pantai Keramas. Its luxurious villas are fitted with private pools and floor-to-ceiling windows that offer sweeping view of the ocean and garden. The spacious 2-story villas at Bali Diamond Estates & Villas have 3 bedrooms, each with hardwood furnishings and private bathrooms. The fully furnished kitchens come with a refrigerator and microwave. Guests can take a relaxing stroll by the beach or indulge in a massage. Other recreational options include having a barbecue by the beach. Car rental services are available at the hotel and parking is free. Bali Diamond Estates & Villas is a 10-minute drive from Ubud and Sanur’s restaurants, and a 5-minute drive from Sulawati Art Market. Ngurah Rai International Airport is a 45-minute drive from the hotel. When would you like to stay at Bali Diamond Estates & Villas? 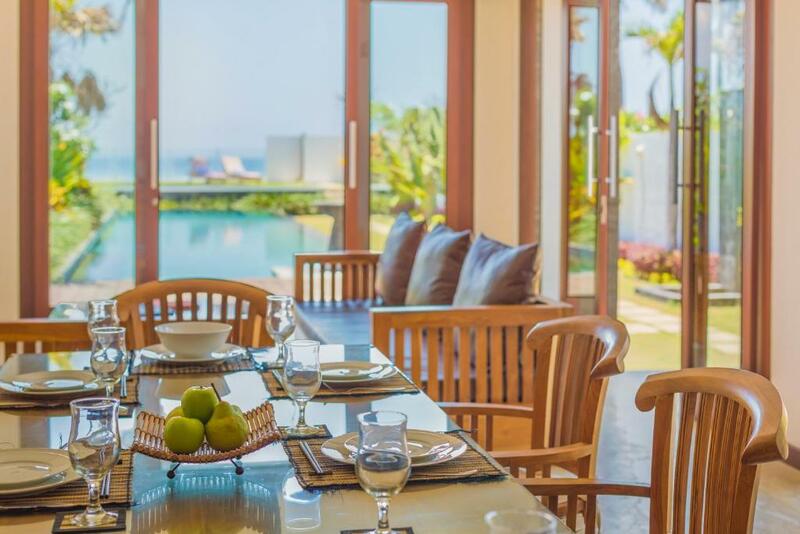 Featuring private balcony and patio overlooking the ocean, this spacious villa accommodates up to 6 guests. It comes with a dining area and a fully-equipped kitchen. The living area, which provides a DVD player, CD player and a flat-screen TV with satellite channels. Ironing facilities are included. Guests can enjoy partial ocean view only from the 2nd floor. 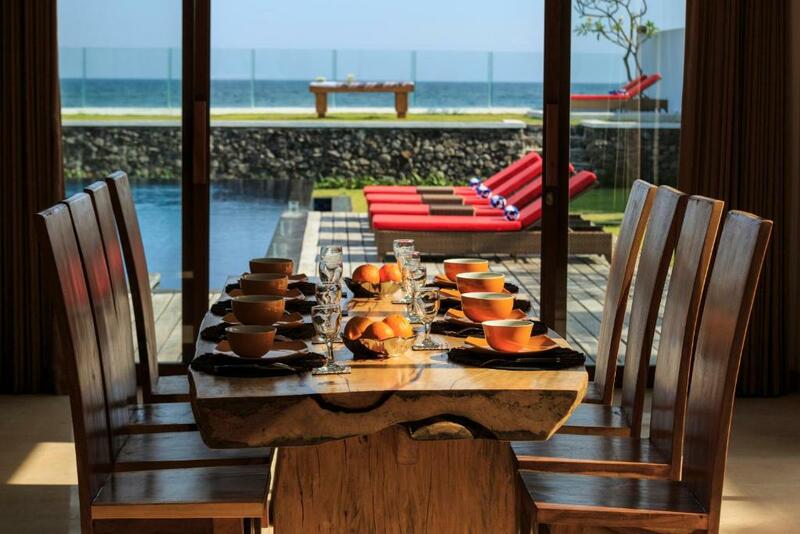 Located at the beach, this spacious villa accommodates up to 6 guests. A dining area and a fully-equipped kitchen are included. Guests can relax on the private balcony, patio or in the fully-furnished living area. Ironing facilities are available. 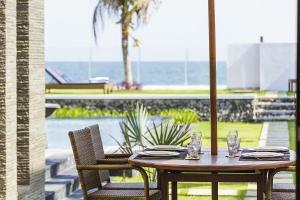 A spacious villa with a dining area and a fully-equipped kitchen. Featuring private balcony and patio, this 3-bedroom villa accommodates up to 4 guests. 1 of the bedrooms will be locked. The living area, which provides a DVD player, CD player and a flat-screen TV with satellite channels. Ironing facilities are included. This villa has a balcony, dining area and a CD/DVD player. A patio is also available. This villa features a balcony, kitchen and CD player. This villa features a balcony, flat-screen TV and kitchenware. 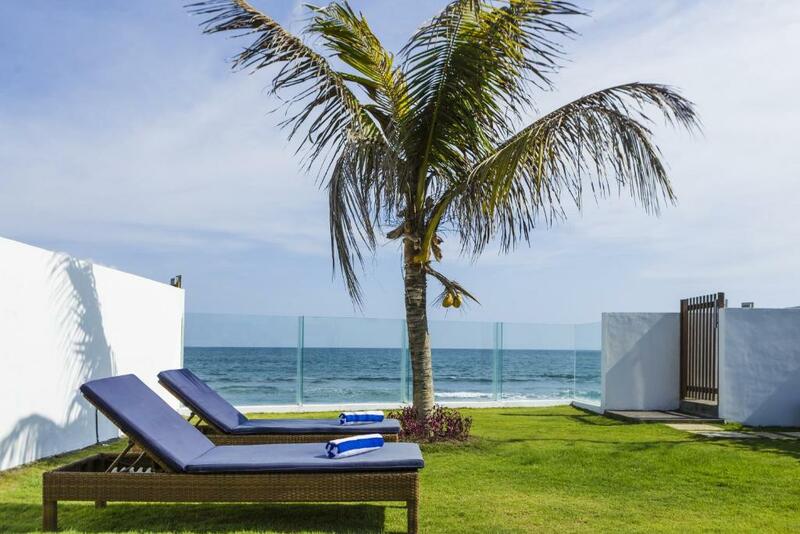 Our villas are absolute beachfront, with private beach access at the end of your garden. 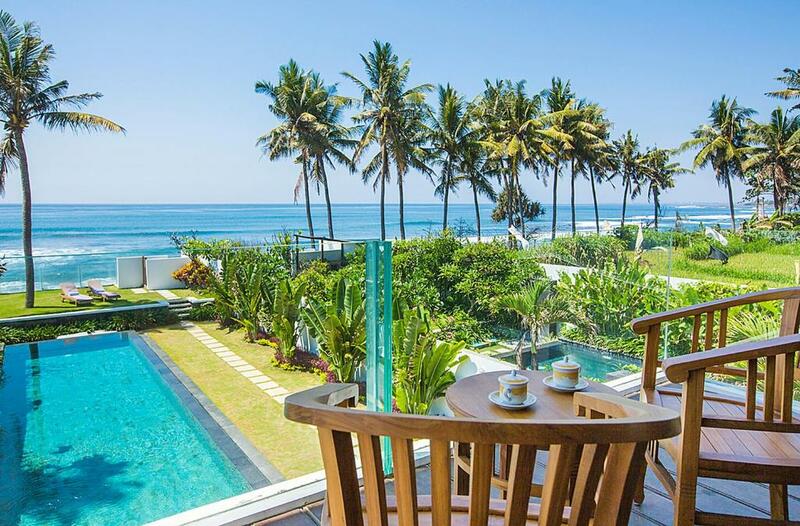 Wake up to the sound of birds and waves rolling in, sip your coffee and walk past your infinity pool to your private beach gate and see the sun shining off the black sand beach, hence the name Bali Diamond. Off in the distance you can see two surfing breaks, both within a 3 min walk. 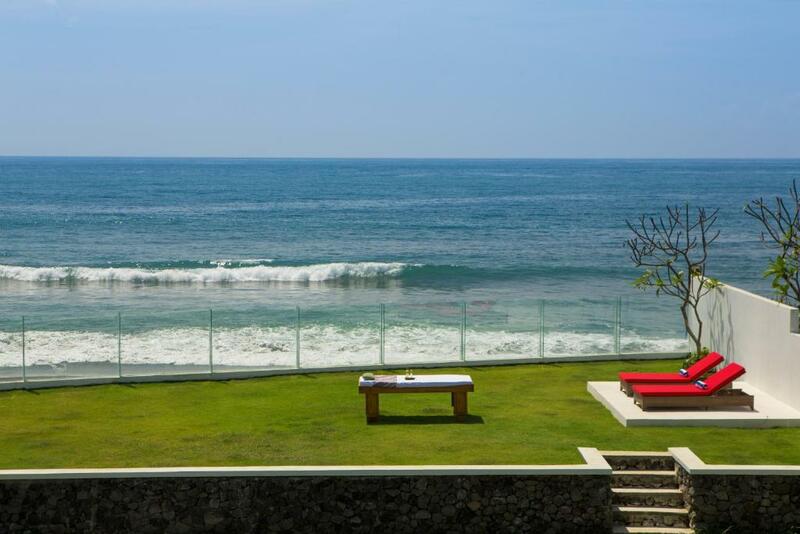 Grab your surf board and head off, or, maybe relax in your peaceful villa and have a poolside massage instead. The choice is yours. We want to make you feel like this is a second home. Our team at Bali Diamond is a family, and we would love for you to join that family. Keramas is world famous for its surfing. The best professional surfers come here every year to compete. Bali Diamond is also very close to Bali Marine and Safari Park and is the closest beach to Ubud, putting us in a great position. 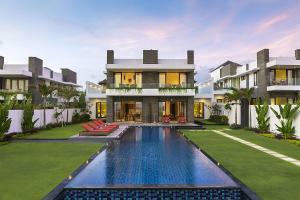 House Rules Bali Diamond Estates & Villas takes special requests – add in the next step! One child under 1 year is charged IDR 145203 per person per night in a crib. One older child or adult is charged IDR 420000 per person per night in an extra bed. Bali Diamond Estates &amp; Villas accepts these cards and reserves the right to temporarily hold an amount prior to arrival. Bali Diamond Estates & Villas accepts these cards and reserves the right to temporarily hold an amount prior to arrival. Upon check-in, guests are required to show the same credit card used during booking and deposit payment. If paying through bank transfer, the property will contact guests with payment instructions. Please note that the property does not accept AMEX credit card. Please inform Bali Diamond Estates & Villas of your expected arrival time in advance. You can use the Special Requests box when booking, or contact the property directly using the contact details in your confirmation. Be aware. On Check out they claimed there was towels missing and charged 285000rph for their replacement. Total scam! Prices for food etc in resort are very inflated and their is limited access to other eateries without a driver. (Hotel also fixes prices of drivers. the living room air-con is not working for the all 2 days when we live in. The engineer try to replace the outside engine the whole night but failed. but they eventually gives me some refund because of that. Fantastic location with lots of room! The spacious rooms and lovely pool. Great value for money . The staffs were excellent, friendly, easy to communicate. The food selection was good, and served to the villa on time with great quality. Highly recommended for group or family stays! Taxi rides from the villa were expensive as they have a bit if a monopoly, no Grab or Uber is allowed on the road, however in comparison to western prices I was happy to pay a local driver a bit more knowing he would get to keep the money. A bit of care and attention could be spent on the outside of the villa, for example loose tiles on the decking, clean the wall windows looking out to the beach, this would make the villa more appealing from the outside. These are minor things and did not ruin the holiday experience in any way as can be seen from our overall rating. A little far from other tourism sites. Good view ，quite ，nice staff and considerable service. I took a beach view villa and it was an amazing view from the villa. Breakfast served was good.car was arranged by the staff itself from villa, he was such an amazing person(cab driver). Showers had poor pressure and the Head of the shower in the master bedroom would not stay up. For people who hates or afraid of small gekos and reptiles, expect to see some in the garden and in the room, but this is something you should expect anywhere in Bali, and no way you can get rid of them, but they are not dangerous anyway, so just ignore them and enjoy your stay.